The right company for your commercial construction project. Your business has expanded. You have added staff and need more work space. You need more room for storage and shipping. You want a building that makes a genuine statement about your business. But you have never designed a new building or rehabbed an existing building. Plus, you are on a budget. How do you begin? 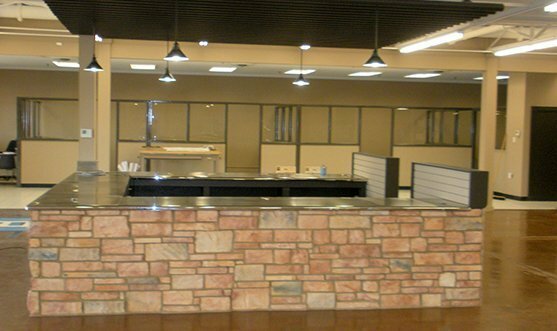 DAC Construction has been a leader in the design and construction of both new and rehabilitated commercial construction since 1973. Don Coulson has developed some of the most unique commercial buildings in north Texas – both new and rehabilitated construction. Don can provide you design ideas as well as cost estimates. Don will walk you through design and construction option, explaining the benefits, trade offs and costs. It’s 2019, taxes are over and you’re ready to begin expanding your business once again here in the North Texas area. With the massive economy boost, the influx of people moving and one could almost say, migrating to Texas has caused quite the stir in need for quality construction builders. Just in the Northwest Fort Worth area, we’re expecting to see more than 8 million people move into a 20 miles radius over the next 10 years. In order to keep up with the massive increase of people looking to purchase and build homes here, businesses are growing to meed their needs. If you’re in need of upgrading, growing, or expanding your business property, then our experts at DAC Concepts & Construction can assist you in making your business space needs a reality. Simply give us a call at (817) 738-3333 and we’ll work with you to build your next construction project while making it a financially effective and offering advice on request. All-in-all, our goal is to provide local Texans the opportunity to expand their businesses. As a business owner, 2019 may well be the time you are considering expanding your business capacity. You may decide the need is for additional office space, storage, or other capacity needs. The questions is how to efficiently and effectively expand your business in a smart and prudent fashion. If you are considering either building a new commercial building or rehabilitating an existing property, make you first call to Don Coulson at DAC Concepts & Construction today!